NOVI, MICHIGAN (August 14, 2013) – Danlaw, Inc. (Danlaw), a global provider of automotive electronics and embedded engineering services, is announcing its strategic relationship with Eontronix, Co., Inc. (Eontronix), a leading technical service provider to the Chinese auto industry. Chinese automotive OEMs and suppliers will be able to enjoy the benefits of faster, more thorough automated testing of embedded software in automotive ECUs. “Eontronix is excited about the opportunity to bring such advancement to the Chinese auto industry. Automotive OEMs and suppliers can now produce complete verification results more quickly for their electronics”, said Steve Shi, President of Eontronix. The Mx-Suite™ Embedded Software Test tool is designed to help automotive ECU module suppliers produce their products more efficiently and with higher quality than traditional methods. Using intuitive graphical diagrams, software requirements are easily documented with performance criteria and tolerances, therefore simplifying software validation. The tool provides traceability from requirements, through design and test cases. Mx-Suite™ allows engineers to test development concepts using virtual prototypes, before electronics are available. 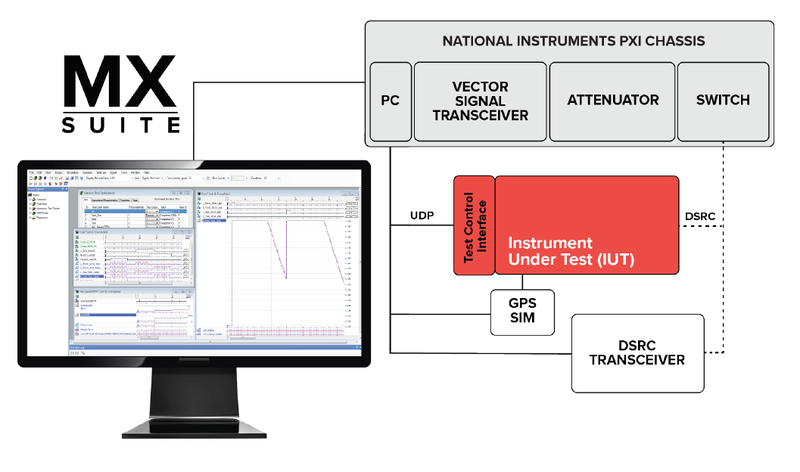 Mx-Suite™ is used to validate models (MIL), execute tests on developer-written or auto-coded software (SIL), as well as run tests with bench and hardware in the loop (HIL) equipment. Danlaw provides the tools, training, and professional services to help its clients take advantage of Mx-Suite’s value. The Mx-Suite™ is used extensively across body, powertrain, safety and infotainment. Established in 2003, Eontronix is a leading technical service provider to the Chinese auto industry. With its headquarters located in Beijing, the company has offices in Shanghai and Chongqing. Eontronix specializes in the areas of powertrain controls, EV/HEV controls, electric motor controls, body ECU module testing, bench testing and data acquisition. Danlaw’s 300+ engineering professionals have been providing automotive embedded electronics solutions to OEM’s and their Tier-1 supply base for 30 years. Danlaw has facilities in the USA, India and China. Danlaw specialty areas include embedded systems development and testing for Embedded Control Units (ECUs), vehicle network communications, infotainment, and telematics. Their customers include Automotive OEMs, automotive electronics suppliers, fleet and automotive insurance companies worldwide.